Lost amidst the dark clouds that circle Redmond is a ray of light for Microsoft: Windows Phone 8. This month, the tracking firm IDC released Q2 numbers that saw Windows Phone 8 shipments vault 78% from the same period last year. Even with its paltry 3.8% marketshare, Windows Phone has finally overtaken BlackBerry and established itself as a legitimate #3 player in the smartphone wars. Microsoft has taken a further step to bolster Windows Phone 8 adoption by launching a beta of its own DIY app building tool: Windows Phone App Studio. Windows Phone App Studio lets anyone take on the task of building their own app without requiring a single line of code (the Holy Grail of these confused times). 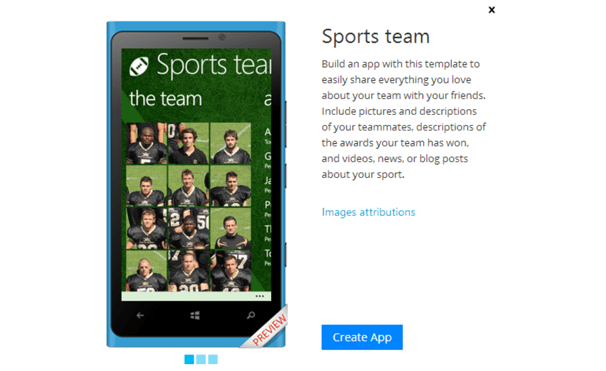 App Studio is an online tool that allows you to pick a template and then drag and drop your way to fully functional native Windows Phone app. App Studio has enough knobs to tune the experience you want to deliver to your user. For instance, you can design an app that stores all of it’s data local to the phone and not require an internet connection to work. 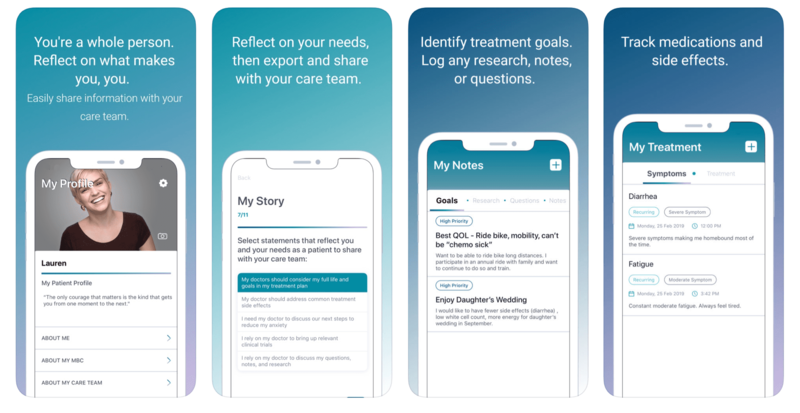 On the other hand you can choose to have your app content hosted on the web and let your app refresh it’s data every time a user opens it up. For the coders out there, App Studio lets you download the source code generated for your app so you can customize it even further! For those of you looking to jump in the app game, Windows Phone 8 is one place where you will still find opportunities to build an app that doesn’t have 5 other apps competing against it. With the continued nose dive by BlackBerry, Windows Phone 8 is poised to continue to grow and is estimated to reach 11% marketshare by 2016. 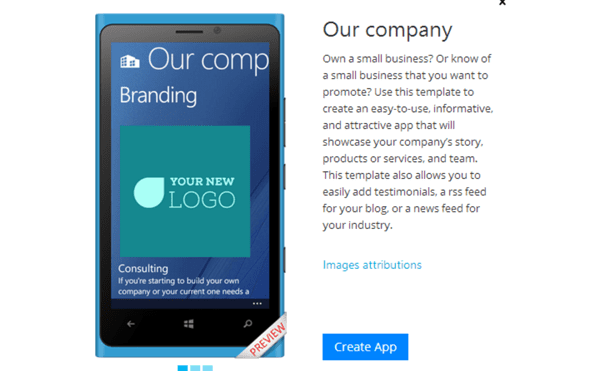 Microsoft’ Windows Phone App Studio makes it very easy for you to create your own app on a tiny budget (the developer license is being offered for a limited time for $19 / year). You can sign up for the Windows Phone App Studio beta by sending an email to studio@microsoft.com to request an invitation code (which is delivered almost immediately). 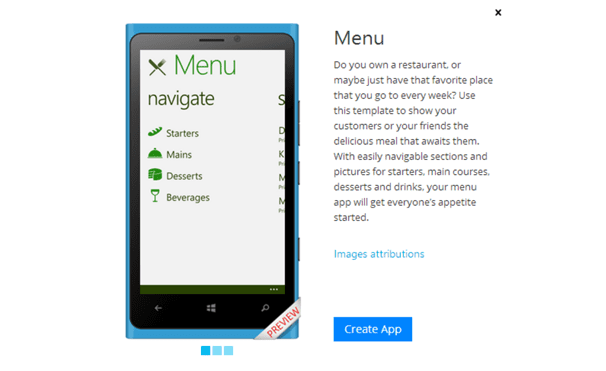 App Studio comes with a functional Windows Phone emulator so you don’t need a Windows Phone device to start making your app.